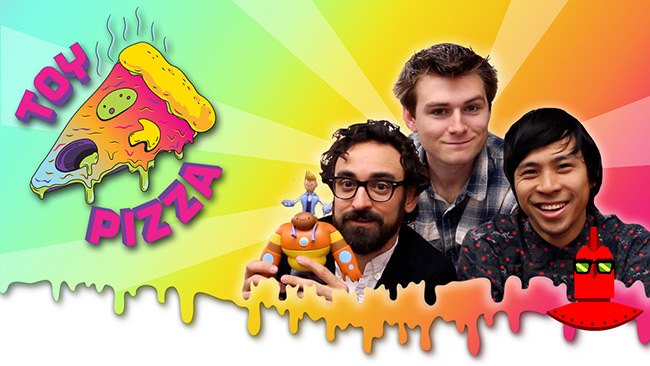 July 2015 - The Toy Pizza series on YouTube has a new episode online! Episode 74 looks at test shots of their upcoming Knights of the Slice action figures. If you missed out on the Kickstarter, you can still order these Glyos-compatible figures on their page at WeLoveFine. Episode 63 features Super Smash Bros toys. Episode 62 features Crash Test Dummies figures from the 1990s. Episode 61 shows several Mega Man prototype action figures from Jazwares. They also have a Kickstarter campaign going for their Knights of the Slice comic book, which gives you the background story on the characters from their previous action figure Kickstarter. Wider was inspired by the way play influences child development and frustrated by the many gender stereotypes that toys perpetuate. 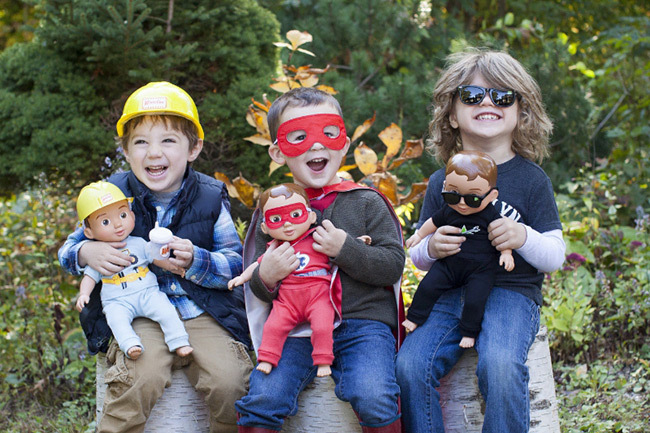 Wonder Crew's 15-inch soft-bodied dolls, referred to as Crewmates, combine the adventure of an action figure with the emotional connection of a favorite stuffed animal. They provide boys with the opportunity to build emotional intelligence and creativity, addressing the developmental needs of the whole boy rather than only those commonly recognized as masculine. 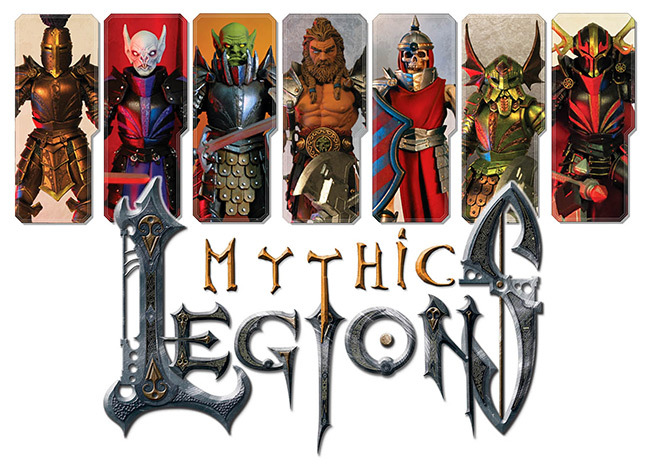 MYTHIC LEGIONS KICKSTARTER HITS 50% FUNDED!! February 2015 - WOW!! THANK YOU!! We are absolutely STUNNED!! In just under 66 hours and with only 300 amazing backers, you guys have already pushed our Mythic Legions Kickstarter campaign (https://www.kickstarter.com/projects/fourhorsemen/mythic-legions-action-...) past the 50% funded mark!! Our initial goal is $140,000.00 in pledges and at just before 2:30pm today we hit $70,000.00! We appreciate it SO much and we can't begin to thank all of you enough for the support. We're absolutely humbled by this. So do us a favor, and pat yourselves on the back, and come by to introduce yourselves if you see us at any of the upcoming conventions so you can get a big sweaty hug from Cornboy and a face to face thank you from the rest of us. We're still a long way from being fully funded but with your help we're going to do this thing and the legion hordes are going to assault toy shelves worldwide! THANKS AGAIN!! MYTHIC LEGIONS ARE STORMING THE CASTLE!! February 2015 - The Four Horsemen's highly anticipated Mythic Legions Kickstarter campaign is LIVE and running right now! Just march your armies over to https://www.kickstarter.com/projects/fourhorsemen/mythic-legions-action-... right now to check out the various pledge levels and all of the add-ons and please help spread the word! It's been almost a year to the date since we first debuted our Mythic Legions line at our 2014 Toypocalypse show, and a lot has changed in that year. The characters have changed, the number of characters sculpted has almost doubled, and after a year of debate amongst fans (and amongst us here at the studio too!) so has the line's scale. After a lot of thought, analysis, and consideration we are proud to officially announce that Mythic Legions is officially a 6" scaled line! August 2014 - It's been a few weeks since the last round-up, but grab your wallet, because there are more action figures and toys on Kickstarter! - Fresh Monkey Fiction is raising funds to produce Amazing Heroes: Retro Style Super Hero Action Figures. These are 4.75-inch action figures based on Golden Age comic book characters, except for the Blank Slate, which is a clever new creation. This campaign closes on August 28th. - Sculptor Rocco Tartamella has a campaign to produce a 7-inch Street Fighter action figures. This campaign closes on August 20th.